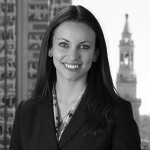 Recent Case Sheds Some Needed Light on When Exceptions Apply - Robinson Donovan, P.C. The passage of the Alimony Reform Act of 2011 brought about sweeping changes to the alimony laws in Massachusetts. One major change was the implementation of durational limits on alimony awards. For marriages lasting fewer than 20 years, a formula is available to determine the length of time general term alimony may be required. The statute, M.G.L. c. 208 §48-55, contains language that allows the durational limits to be applied to alimony orders that predate the reform act, providing many alimony payors with hope that their alimony obligation will be terminated. However, the statute also contains language that allows the probate and family court to deviate beyond the durational limits based on an ‘interests of justice’ standard. Since the passage of alimony reform, attorneys and clients alike have been left wondering how and when the ‘interests of justice’ standard would be applied and what factors a court will consider in deviating from the durational limits. A recent decision by the Massachusetts Supreme Judicial Court provides some limited answers. In a case of first impression, in November 2016, the Supreme Judicial Court decided in George v. George two important aspects of the deviation standard. First, the alimony recipient bears the burden of proving that deviation beyond the presumptive termination date is required in the interests of justice. Second, the judge must look at the circumstances of the parties at the time the termination of alimony is sought, as opposed to the circumstances of the parties at the time of the initial award of alimony. The court also made clear in its decision that it would not consider an alimony recipient’s argument that, had they known that the alimony laws were going to change, or that durational limits would be applied, they would have negotiated for a larger property division in the original divorce. The SJC reasoned that, if this argument were to be accepted by the courts, it would effectively prohibit any payors with alimony awards that predate alimony reform from terminating their alimony obligation under the terms of the law. In sum, accepting such an argument would nullify that portion of alimony reform in direct contravention of the Legislature’s intent. As in most cases in the probate and family court, the individual facts of the case are extremely important. However, the George case has provided some clarification of the statute that can be utilized to argue either for or against termination of alimony based on durational limits. In sum, if a payor has paid alimony beyond the durational limits, it is wise to consider the alimony recipient’s present circumstances in predicting how successful they will be in attempting to terminate the alimony obligation. Conversely, an alimony recipient must be cognizant that he or she will have the burden of establishing that deviation beyond the durational limits is appropriate in his or her case.